When the weather gets colder, my mug is always filled with a hot drink. On cool fall nights, it’s always hot chocolate. 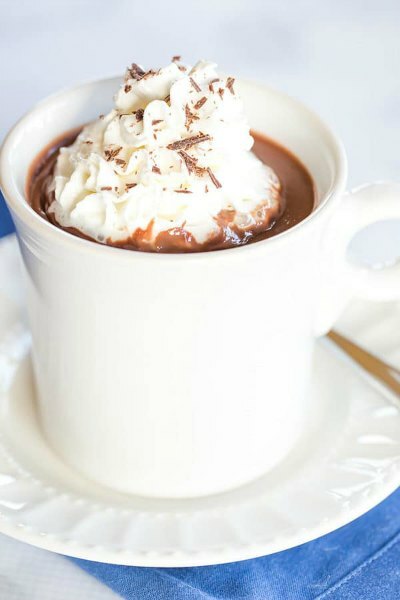 I love trying new ways to drink this classic beverage, which is why I put together this list of 20 hot chocolate mix recipes that you must try! 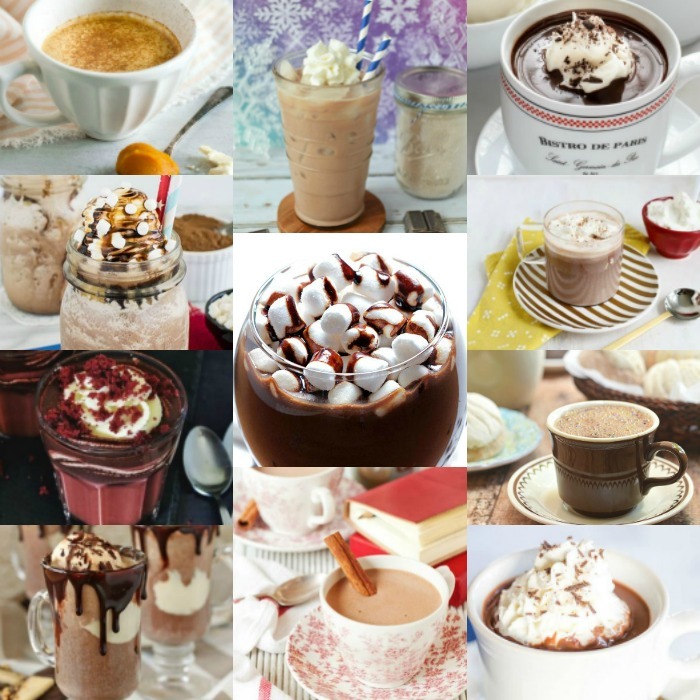 From traditional hot chocolate and white hot chocolate to mocha blends and more, here are 20 of the best hot cocoa recipes. 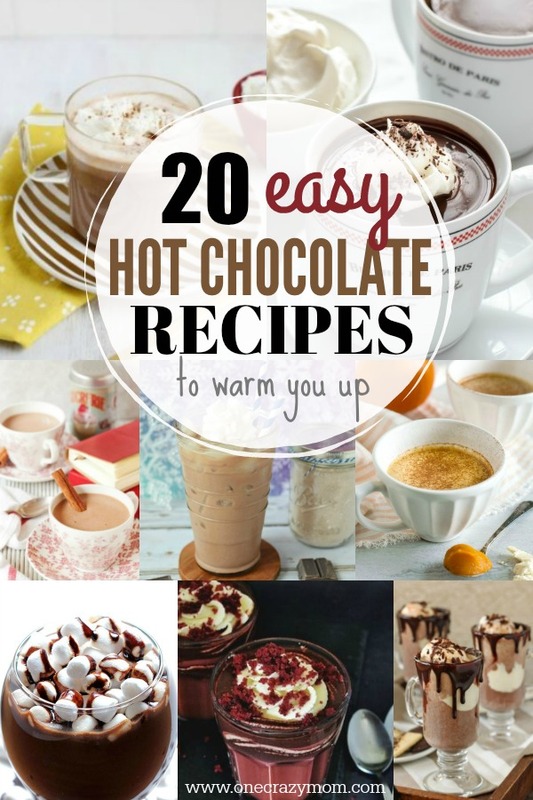 You are going to love all the different ways to create the best cup of hot chocolate! 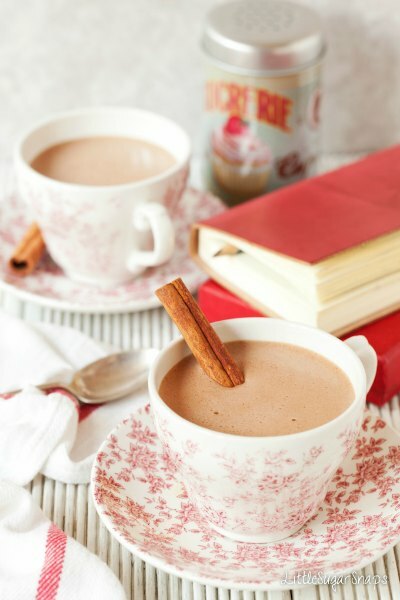 All the yummy flavors of Chai combine with hot cocoa for the most delicious drink! 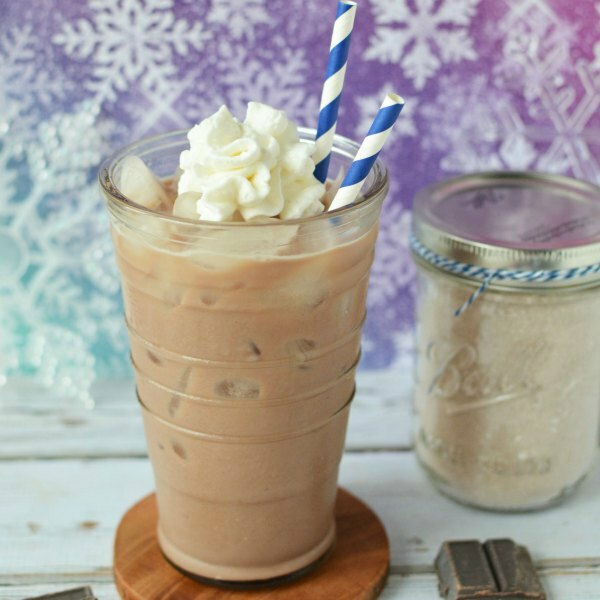 Iced hot chocolate is a delicious twist on traditional recipes. It’s sweet and refreshing! 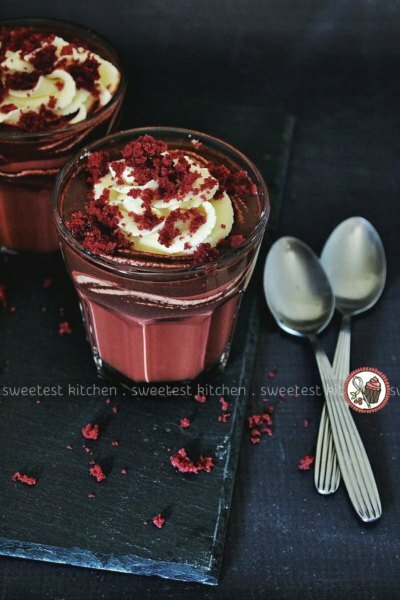 This recipe is so thick and decadent that only a small cup is needed. It’s so delicious! This is a darker hot chocolate and not as sweet as some. It’s topped with sea salt for an amazing drink! 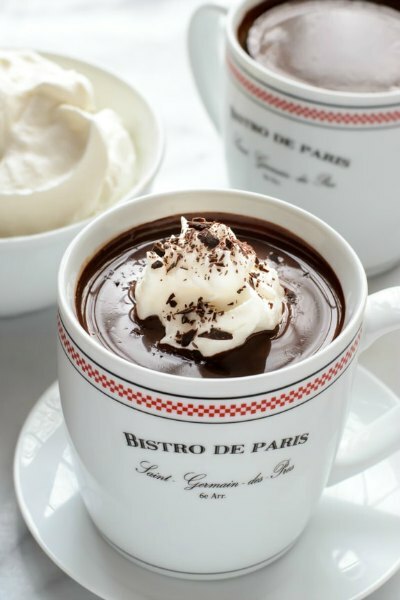 Find out what makes this the world’s best hot chocolate! 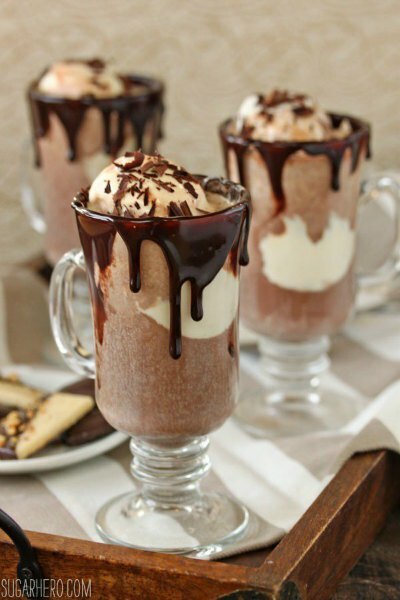 The chocolate in the recipe and extra chocolate syrup on top make this recipe oh so divine! 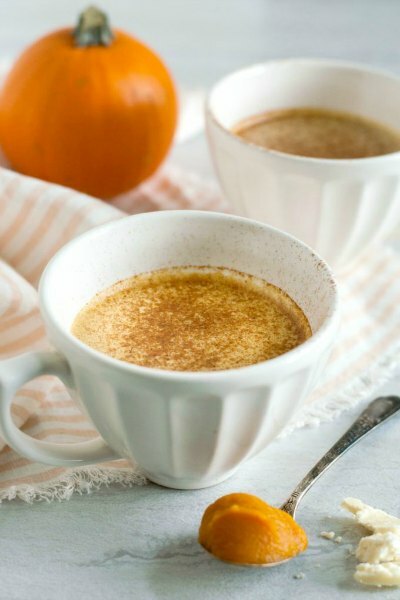 Pumpkin Spice fans will love this combo! 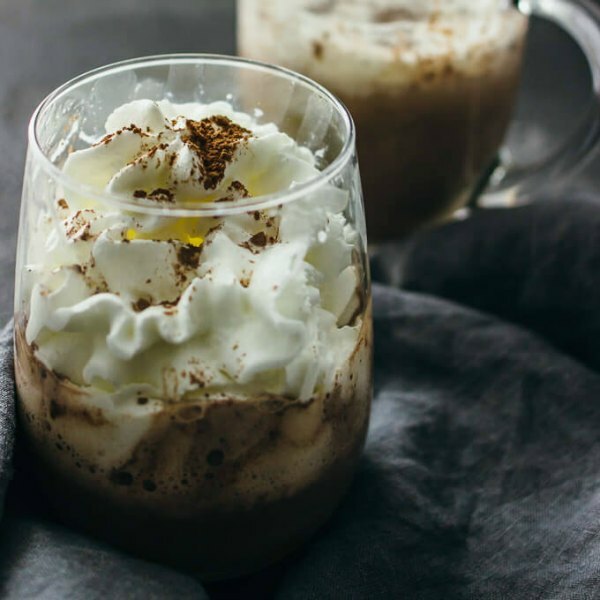 It’s creamy and delicious and so good combined with hot cocoa. Make this in the crock pot for big parties or holidays! It’s rich and creamy and the white chocolate is so yummy. 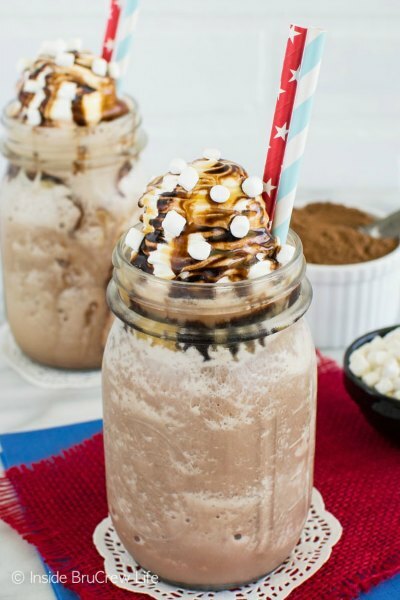 This recipe is for hot chocolate floats! 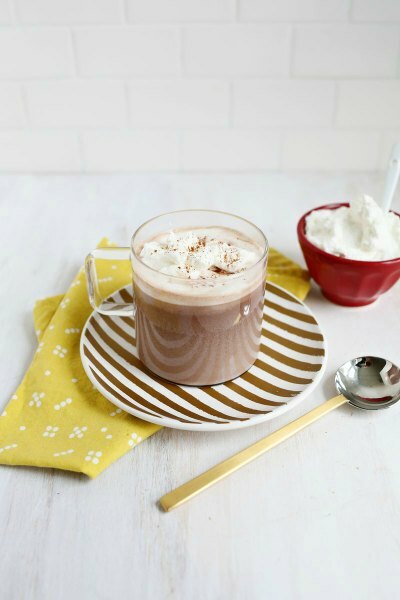 It’s such a fun twist on the traditional cup of hot cocoa. Plus, it’s so pretty layered in the cup! Yum! 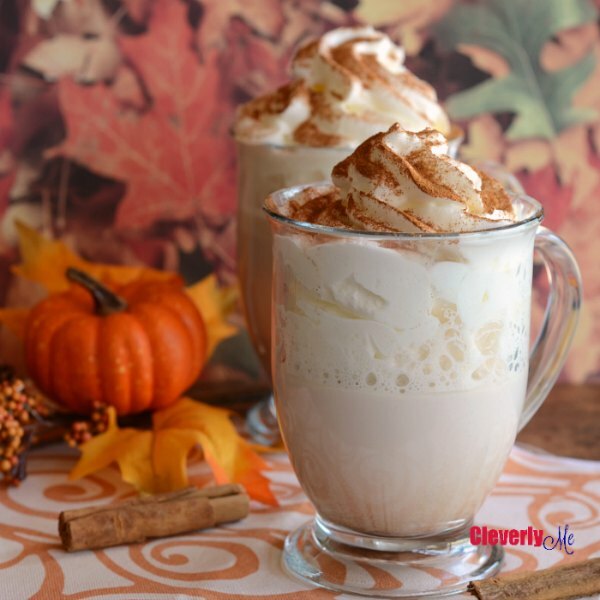 Pumpkin and White hot chocolate make a delicious seasonal beverage. So good and easy to make at home. Save a ton of money and make Starbucks at home. 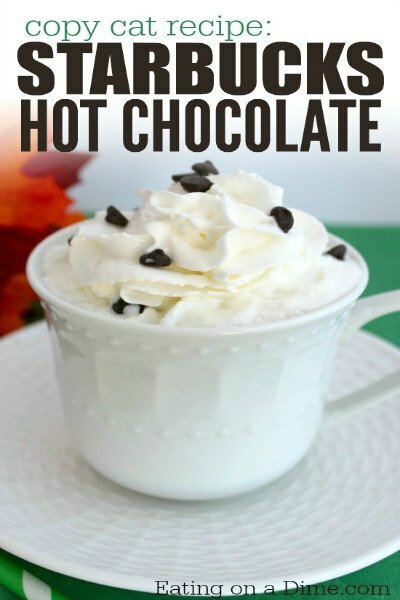 This delicious hot chocolate recipe is so easy to make and tastes just like Starbucks! Hot chocolate with mocha and salted caramel blend together for the perfect frozen treat! So good! Nutella is so creamy and tasty! 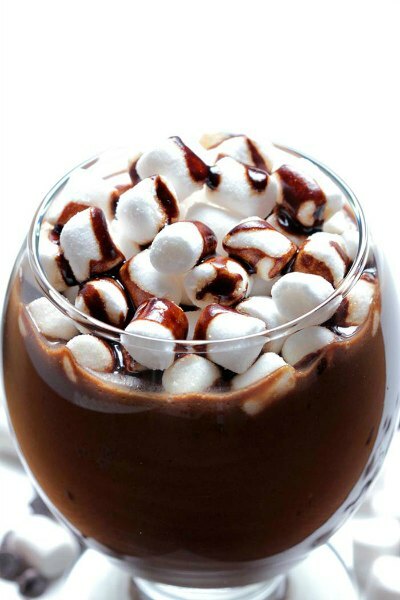 Try combining it with hot chocolate for a recipe that is out of this world. Stop buying those pre-made packets of hot chocolate! This mix recipe is so simple and much better better than anything you could buy in the stores. 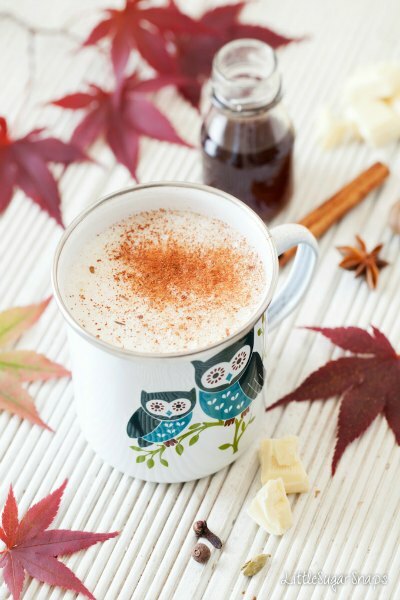 White hot chocolate with a dusting of chai spices make this recipe amazing! Try it for something different. Almost like pudding, this recipe is thick and delicious. It can almost be served as a dessert! 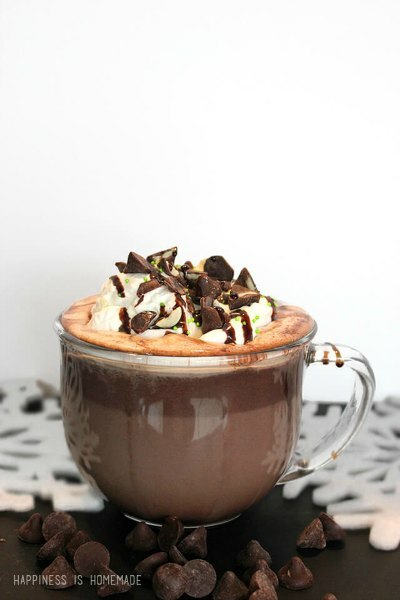 Chocolate and mints make a tasty cup of hot chocolate! 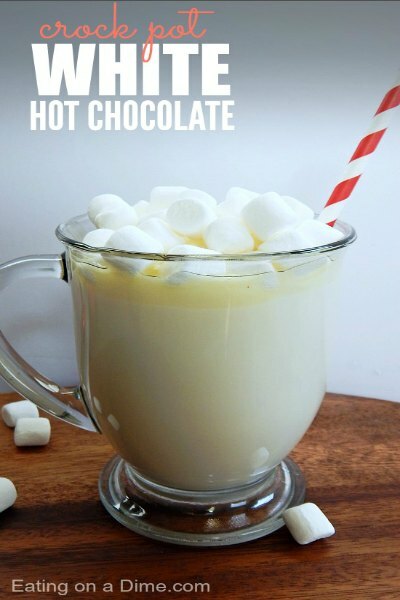 Turn a popular combination into your new favorite hot chocolate drink. It’s so good. This is so pretty especially at Christmas! The red velvet adds an amazing flavor to this hot chocolate. You don’t need to travel to Disneyland for a cup of their hot chocolate. Make it a home with this fantastic recipe. 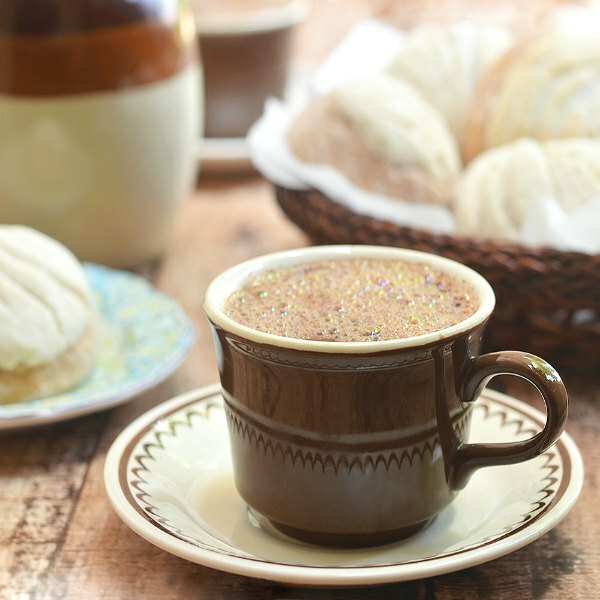 Spicy and warm, this recipe for Mexican hot chocolate is so delicious. The flavors give it an entirely new flavor that is different but so good! 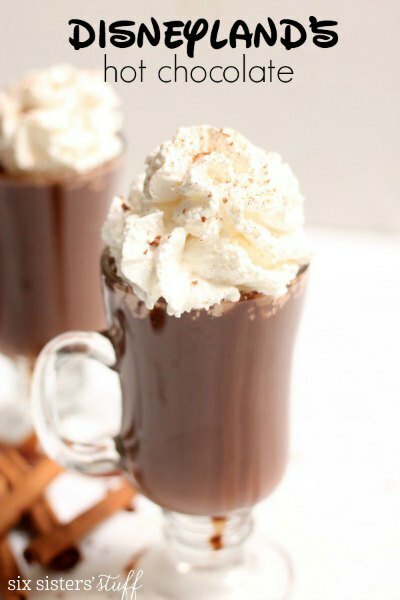 Let us know which Hot Cocoa Recipe is your favorite! Do you have any family favorites? 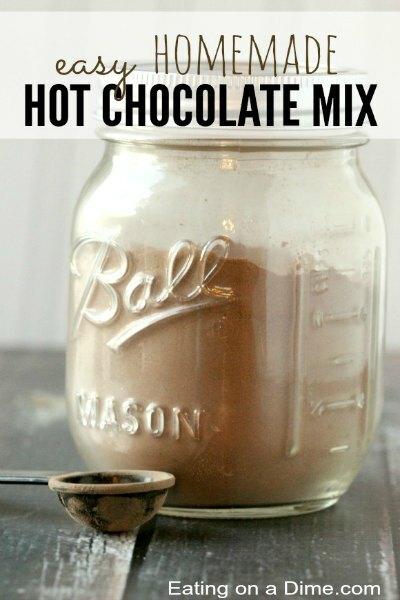 I love all the Hot Chocolate Mix Recipe ideas!